Martin Scorsese is known for lots and lots of films. Most recently, he directed Shutter Island, which proved to be a miss among some people, and a huge success among others. This is also about the police, which is usually a topic for a TV show, such as The Bill and Blue Bloods (both very good, I might add). So, as a 150 minute long film, can it really sustain the intensity of crime-fighting, and remain an incredible success over this whopping running time? 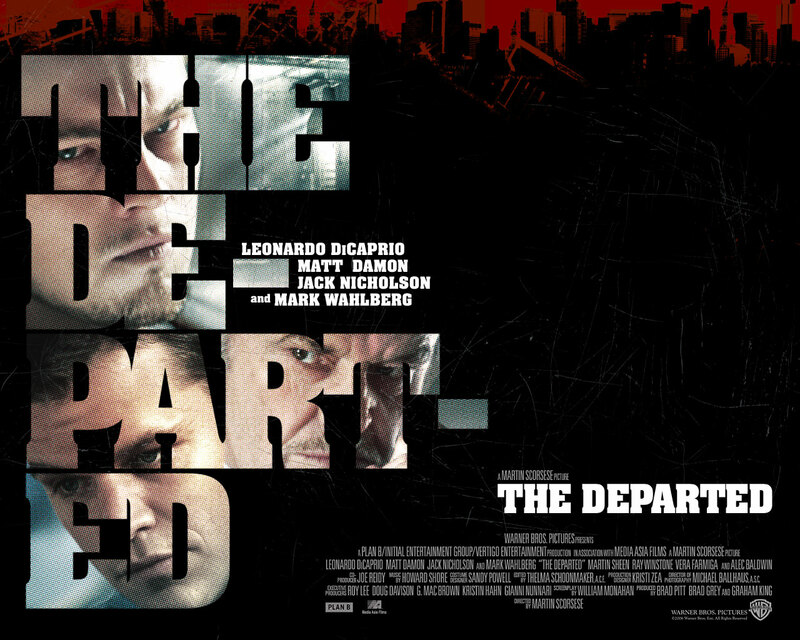 The Departed begins by showing us two cops grow up into the service; Billy Costigan (DiCaprio) and Colin Sullivan (Damon). Sullivan has been trained up by the mafia, and is now their rat in the Massachusetts Special Police Organisation. Simultaneously, Costigan is the cop, working undercover as a rat within the mob. We are aware to this, but both sides know of their own rat, and a rat within their organisation, they just don't know who it is. After the situation is realised by both rats, it's a race against each other to discover the other's identity before their own cover is blown. Bloody. Hell. What a thrill ride this is! It's ridiculously intense throughout, and Scorsese (director) had proved here that he knows how to make a film of this calibre. He made this extremely well. Throughout the film, we start to feel sorry for, and join the side of, Sullivan (the one who's actually a mobster), because we see him as a cop. But then, we realise this and start leaning towards Costigan (the one who's actually a cop). This keeps happening, as both sides have to do some pretty horrible things to remain the rat for their respective sides. It really is one hell of a topsy-turvy, twisty-turny adventure. I've seen Dicaprio in quite a few films now (although I still haven't seen Titanic), so I knew what to expect from him. And he delivers. Playing Costigan was probably the toughest role to play, as there are two sides of him, but he goes through such an emotional journey, and such a horrific ordeal....it's a shock why DiCaprio didn't get an Oscar nomination. Damon, on the other hand, I had never seen in a film before. He also came across nicely, portraying a nice, sophisticated cop, and a ruthless mafia killer at near perfection. Other notable cast members are Jack Nicholson playing the mafia's leader. Arrogant, violent, but a damn good leader for his team, he's the one who takes on Costigan, and set up Sullivan at the same time. As I said earlier, this film is incredibly intense! The scenes where a rat is almost uncovered can get quite violent, and after spending over 2 hours with these characters, and due to great character development, we feel for them, and really want them to get out alive. The ending to "The Departed" was magnificent. Shock endings are usually good and effective (my favourite shock ending being Saw), but recently they've been supplying we with an "oh...Okay then" response, rather than an "OMG WTF BBQ!!". Let me say now, that "The Departed" fits in with the latter category. I also found the ending quite poignant, with the rat (those who have seen this will understand). If I had one nitpick with this film, it would have to be the names of the characters. Costello, Costigan, Sullivan. Seriously, Martin Scorsese? "The Departed" is almost like Inception with rats, (rats, rats working with rats, a rat inside a corporation led by a rat, double crossing rats, and rats within rats), so do we really need to try and remember three ridiculously similar names? It doesn't take anything away from the film, it just makes it hard work to know who they're talking about sometimes. 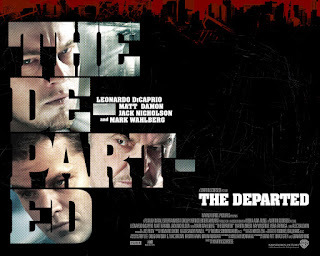 To Summarise: Martin Scorsese proves with "The Departed" that you can have intensity, heart racing action and horrific fight scenes, and not have it take away from an awesome story.